AppGameKit Classic Chat / Is there anything like a Minecraft clone out there, made with AGK? I am wondering arround, if there are some game projects, which are using AppGameKit to creating a minecraft like environment. With building and digging or with blocks, but with other intentions. But, maybe there is something arround in AppGameKit Tier 1 Basic as well. Would be nice to see. Like "Small Game Templates"-Second Wave or so. (or second edition, or "Small Game Templates" gone wild or bigger or "Not so Small Game Templates"
I haven't seen one, no, but that sort of thing would be quite possible with little effort for the original prototype. Help out a fellow dev! Download and rate my games! They're free! 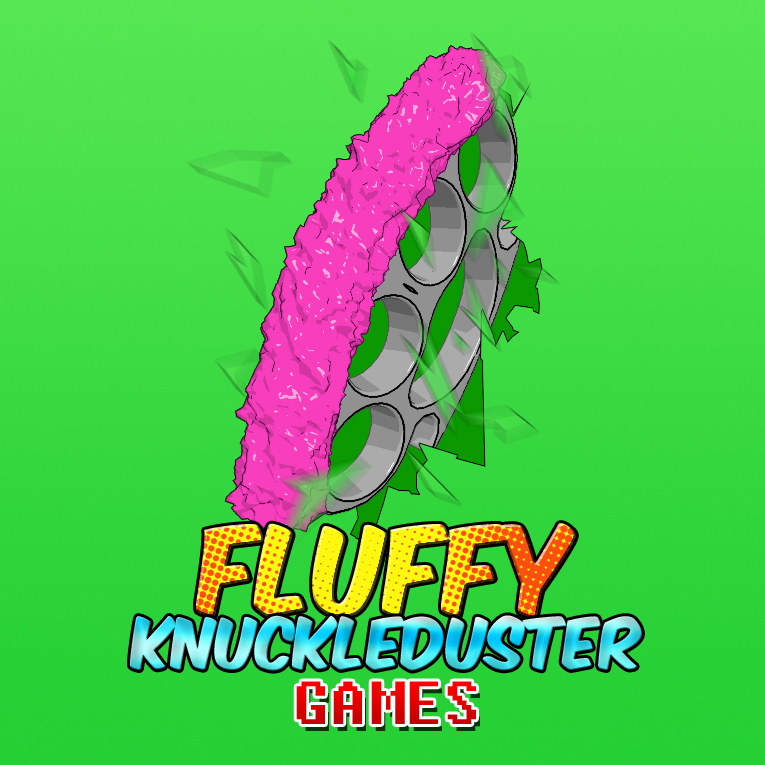 And you can get Fluffy Knuckleduster merchandise at our new store! I'm building a MMORPG and the client uses AppGameKIt... and it's a voxel world. But, instead of first person, it's going to be 3rd person strategy/survival. So, yeah, it's possible to build Minecraft-like worlds with AppGameKit. Not to hijack the thread, but LillyByte what communication protocol are you using between the AppGameKit app client and your MMO servers? CumQuat wrote: "... but that sort of thing would be quite possible with little effort for the original prototype." Maybe we need realy something like "Advanced Simple Game Templates", also for showcasing the potential of AppGameKit itself. Or we do something like "Ludum Dare" or "A Game in a Week"
Xaby wrote: "Or we do something like "Ludum Dare" or "A Game in a Week""
Actually, that's a really good idea! Quote: "Not to hijack the thread, but LillyByte what communication protocol are you using between the AppGameKit app client and your MMO servers?" Since I'm using WebSockets, I have to use TCP/IP-- but because the game will be tile-based and doesn't rely on accurate physical movement by just tile position, it's fast enough for the job. Quote: "Your game looks fantastic." Thanks! <3 Though, right now, that's just placehold art-- I need to get all the mechanics done before creating the actual art/textures/animations. No doubt I'll be pushing the limits of AppGameKit. 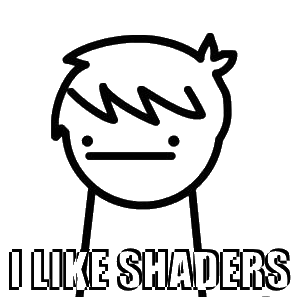 If we could get people interested in taking small steps... and not trying to make the greatest thing ever right off the bat... it might even be possible to do community projects where we design a full albeit simple game like a micro minecraft or Crossy Road or whatever. And we figure out out what is needed... put some thought up front... break the work down into modules and multiple people here tackle it. Like one person takes player control, one enemy control, one world control, one HUD control and so forth. And just plug it all together when done. Such a thing could be very interesting to see what comes out of it, would be highly modular out of necessity and fairly clean code as well since each module would need documented "exposed" entry points for other people's modules to call and so forth. So I would probably suggest in having the map with say 3 layers, so when player hits the top layer, that block gets cloned and moved to the botttom. It is a very nice colorful demo! It seems strange that rendering about 5k cubes would be about the limit for 60 fps. Of course big part of it is the crazy high camera far distance you set. I think maybe 150 would be good for that in this context. Still there should only be like 6 quad faces per cube x 5,000 cubes = 30,000 faces or 60,000 triangles. 60k x 3 vertexes = 180,000 vertexes. I'd think even mobile could handle that. Must be something going on... maybe different materials are being internally generated for each cube? Or some fx on by default? I mean I get ultimately of course there is a real limit just don't see why about 5k cubes not being updated animated or anything but simply existing in 3D space and being rendered would be the limit on Windows. I'll play around with the code later and try different things see if they make any difference. I tried to build something with Cubes in 2005, I think, and there we figured out, that a cube behind a cube, that couldn't be seen by the camera, could be rendered and will cost performance. So we created combined objects. e.g. 3 x 3 x 3 cubes only have 6 sides (three are not drawn, because of backclipping, so only three), and wie tiled the texture and scaled it. It works, if combined cubes are have the same texture. If we place or distruct one cube, we had keep in mind, to reverse this process, so a 3 x 3 x 3 cube, has generate 27 cubes and clears the one, which is destroyd. There is much optimization potential. An easier example would be, to have two cubes next to eachother. They only need two walls fewer. [_][_] would be [_.._] . I think, there is also a lot potential, to do Imposters, and or Instances. The way minecraft ist build, I think, it's possible, to have only "real" cubes on the surface. Maybe it would be more complicated, if you dig deeper and have caves. I think, there have to be some "zones" in a way. So you don't have to render the complete world with all cubes every frame. But figureing out, which cubes you can see and or which cubes connected and can be one combined-object ... could also cost performance. But this Optimazition could be done at start or "compiled" into the level before. And don't have to be done every frame. Late in 2005 on notebooks, it was time consuming, but the optimaziation we have tested with some combined cubes paid off in better frames/sec. I set the Sync-Framerate to 6000, in hope, to see, if I got a difference. With Copy, I had about 300 Frames, with Instances, I had about 500 Frame. But I can't say it for sure, because everytime I "walk" arround and start the prototype again, I got different frame-rates. between 250 and 600. Don't matter, if I use "Clone" or "Instance". Wow i didnt realise instanceobject - rather than the loading speed is astronomically quicker to build. So set Cubes to invisible, which are hidden by others, would only have a little impact. I thing, it is the sheer amount of objects, AppGameKit "strubbles" with. I also tested, if setting the texture before instancing would have a significant impact on loading time, but I can't verify that. Then there is a map procedural engine to create. if use 600 as a starting fps"
So "deleting" the object completly would be more effective for the performance at all, instead of only make the cube invisible ... ? Right? With the random cube position, its the worst case at this moment. But its nearly the same, what you wrote, I think. If we hit a block, we could put the blocks missing back, and delete the beaten block. We only have to look at its surroundings, not the complete world. Mostly we only can hit one block after the other. So the calculation can't be so complicated, to Re-Create-the-Object/Objects arround. Imagine, a cube out of cubes, 100 x 100 x 100, that would be 1.000.000, 1 Mio. Blocks. But we could only see barly the outside with 100 x 100 by 2 and 98 x 100 by 2 + 98 x 98 by 2 ~ 58.808 so we would save a lot of blocks inside. And breaking one block on the outside, would be to create only one block more. So the same amount of blocks would be there. And if we dig deeper, we need maybe evry dig + 4 blocks. Imagine, how often you can dig, before havaing a Million Blocks. I think, the number of blocks, could be nearly constant. Cool ill go with that. Hey, I think you want to store the blocks in a 3 dimensional array so you can run algorithms over it, which need to know the neighbor blocks. You can then use Flood Fill, Breadth First Search and other nice algorithm. For example you can save much faces between neighboring cubes, so you end up only rendering the hull, but therefore you need to split the cubes into 6 faces. After that you can split the map into 16x16 chunks and use BFS to deem the chunks to render which can be seen from your viewing direction. and that are about more than 100.000 Polygones and I got about 56 Frames / second. So with this in mind ... I think, we have to pre-bake the Objects or something. FPS are from GTX 770. Have to test that on a Intel 4000 maybe. It would show more, what I mean in performance. Afyter copy/paste the last code from puzzler2018 , the poor performance of 200x200 blocks (66618 vertices processed at 27 fps) is surprising me ... The performance are the near the same when moving the camera out of the map with only 2700 vertices processed .. It's the amount of objects that affect the frame rate so bad not the polygons ...well the polygons too but you have to find a good balance. You don't want to switch between states for all the different Objects so much. I wonder if the only way to combine objects is via memblocks ? You want as few Objects as possible, so I suggest, if you go with the 16*16*16 chunks to combine all faces in this chunk to one object so agk can still run view frustum culling and draw call batching on the chunks/objects. 40,000 separate objects I can see where that would be a huge amount to process. I remember a huge thread over on the Unity forums where they wrestled with the same thing and yes need to create almost like a terrain map holding many blocks. Using individual blocks the world will have to be very small to keep up performance. Like @Janbo mentioned combining many blocks say a 2x2, 3x3, 4x4 etc into a single object should help too. Actually I think that video above and articles on Minecraft would show these are things he wrestled with and solved as well. And people on Unity forums have too. So makes sense to look at all of that stuff. I'll interject a little about how I am doing the blocks for my MMORPG while 'attempting' to conserve memory. I wanted the ability to build upward, but if I had a full array of cubes like 100x100x100 (for instance) that wouldn't be very dynamic for various region sizes... and that'd be a heck of a lot of memory wasted, since I assumed most of that space would be empty and we only want to use memory when there are structures to fill it. So, what I did is create a single 1 dimensional array to represent my X,Y ground plane... and then each element of that array has a Z array of elements to count for upward blocks. So, here I could adjust my 2D array to whatever X*Y length I needed, and then each individual element at every X,Y position had its own dynamic Z array up. So, the only time memory is used is if there's an actual block there. Setting any element to 0 meant there was empty space. I store as much data about that block type I can inside the array for quick access and information about any particular block. By not using 3 dimensional arrays and using dynamic allocation of memory of single arrays... I can create larger voxel spaces while minimizing memory usage. the only problem would be, over long term usage memory would get fragmented and you'd need to restart the game every few hours if you were doing a lot of builing... but, it hasn't been an issue in my voxel world yet. Some really interesting a good stuff from all here. Quote: "It's the amount of objects that affect the frame rate so bad not the polygons ...well the polygons too but you have to find a good balance." Ho yes, you're right, sorry. If i understand the problem, the solution resides in having visible cubes only in the pipeline (so creating visible and destroying invisible ones). So the visible frustrum need to be manually and mathematically deducted before each swap depending of camera position/angle. 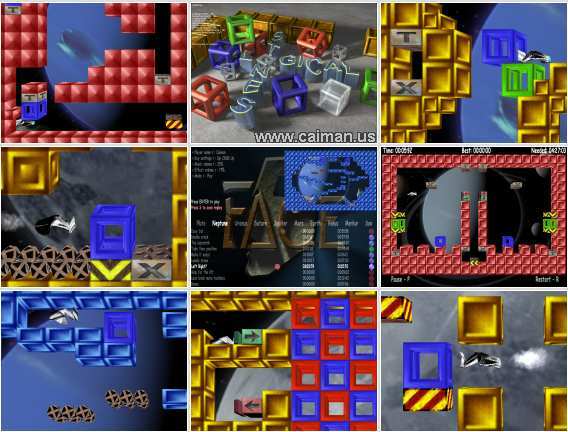 maybe it's possible to manage virtual "sectors" (big cubes) which are the "bounding boxes" to deduct which inherited cubes are visible or not ... if the big cubes returning GetObjectInScreen(sectorCube) = 1, so we create the cubes which are in ( if they are visually invisible or destroyed by the player, we pass them in the process and determine this on a second pass). Or a kind of binary space partitioning (BSP). Maybe also decrease those blocks from size 1 down to .25 to make smaller . Shall keep trying different things and methods until we get this 100% correct for performance and of course as soon as I get to my PC.